In Sanskrit “Hala” means plough, so this Halasana is called as plough pose due to its resemblance to the shape of plough. This yoga posture stretches the spine and shoulders while rejuvenating the nervous system. Because the pose calms and relaxes the nerves, brain, and heart, it is traditionally practiced near the end of a yoga session. It improves digestion and appetite. It helps to make spinal cord strong and flexible. Halasana also makes facial skin healthy by improving blood flow the nerves present underneath you face. It helps to reduce stress. It normalizes blood-glucose level and stimulates the internal organs. It stimulates the reproductive organs. Beneficial for diabetic people. Those people should do this regularly. First of all lie down flat on your back, keep your arms placed beside your body and your palms facing downwards. Relax your body & then take a breath and lift your feet off the ground using your abdominal muscles. Your legs should be at a 90-degree angle. Then lift your palms to support your hips to lift them off the floor. After this, try to touch your both the feet to the ground behind your head. Hold the position for a minute while focusing on your breathing. Exhale slowly and gently bring down your legs. Avoid jerking your legs while releasing the pose. Avoid practicing this pose if you are suffering from diarrhea, glaucoma or other eye problems. Perform this pose with caution avoiding jerks. If you are suffering from any neck or spinal cord injury then it is better not to do this asana. Dr.Yogesh Chavan is renowned Ayurveda Physician from Nashik, India. 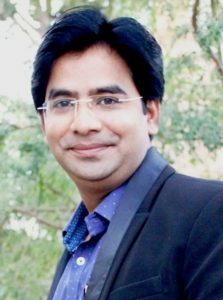 He is also a passionate blogger with the motto to spread Ayurveda Sciences to the community. He is spreading Ayurveda & health knowledge through articles in many newspapers & his blog www.ayushmanbhavayurveda.com . Dr. Chavan is an expert in Ayurveda medicine & panchakarma treatment. His work & sound knowledge in this field has been acknowledged by many institutes.